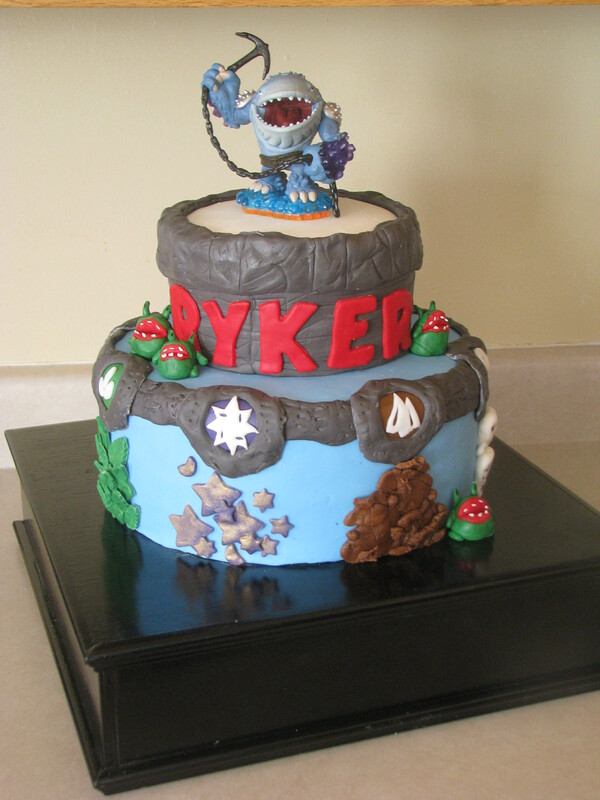 This Skylanders cake was one of the most involved kids cakes that I’ve made in a while, it took me something like nine hours start to finish. 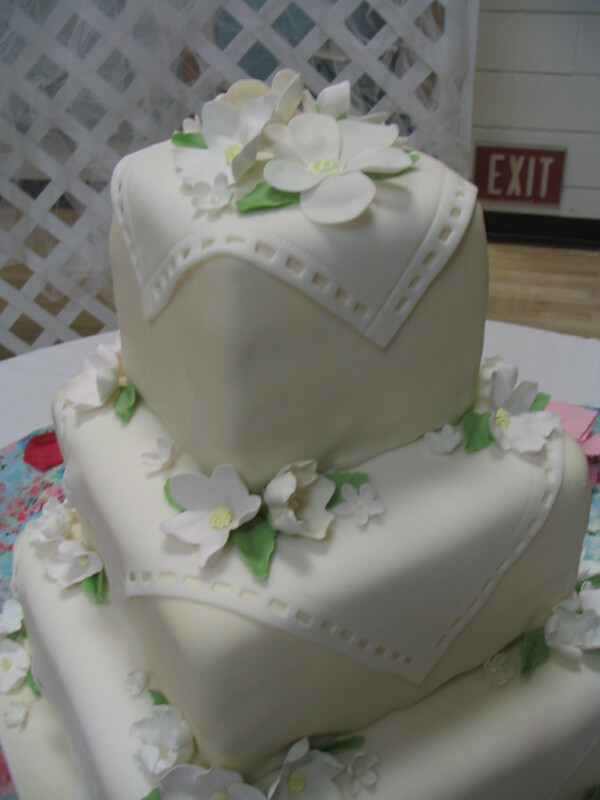 After about ten years of making cakes, I can look back and see clearly some of the trends wedding cakes have gone through in the last decade. 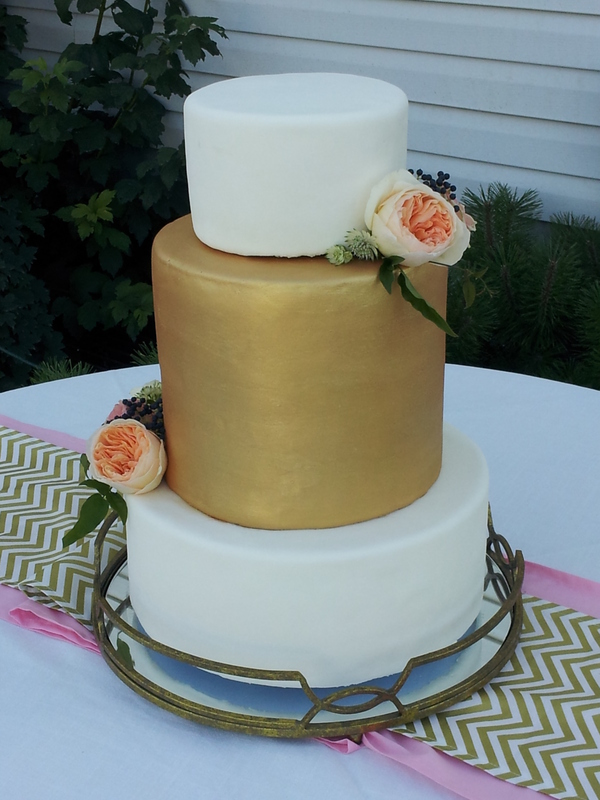 Shortly after I first started everyone wanted 3 tiered square cakes with ribbon wrapping the bottom edge. 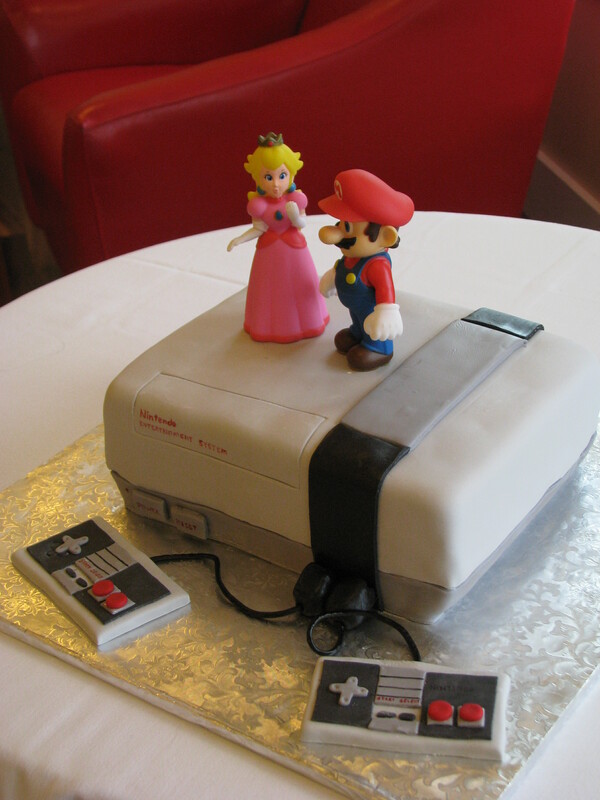 I had forgotten how much I loved this cake, still one of my favorites. 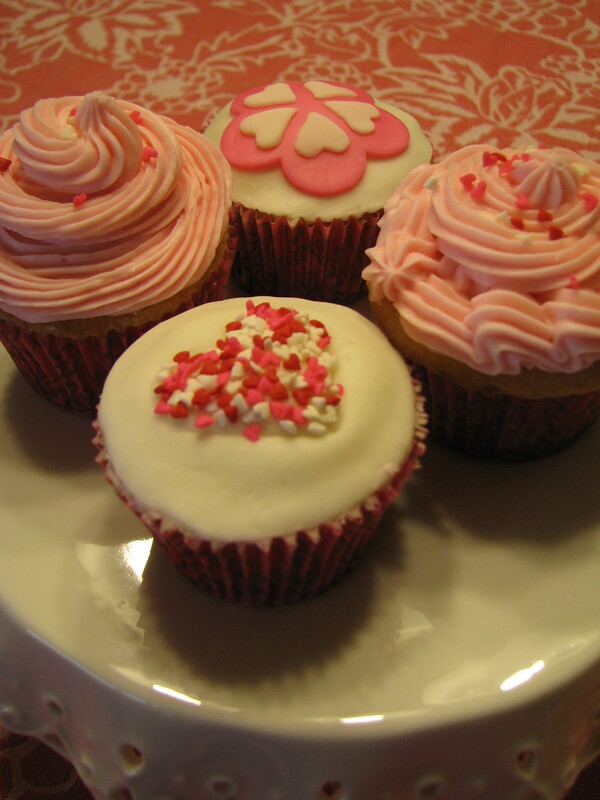 There’s been other trends of course, and I really don’t do a ton of cakes, but this summer I notice the shape of cakes changing again. 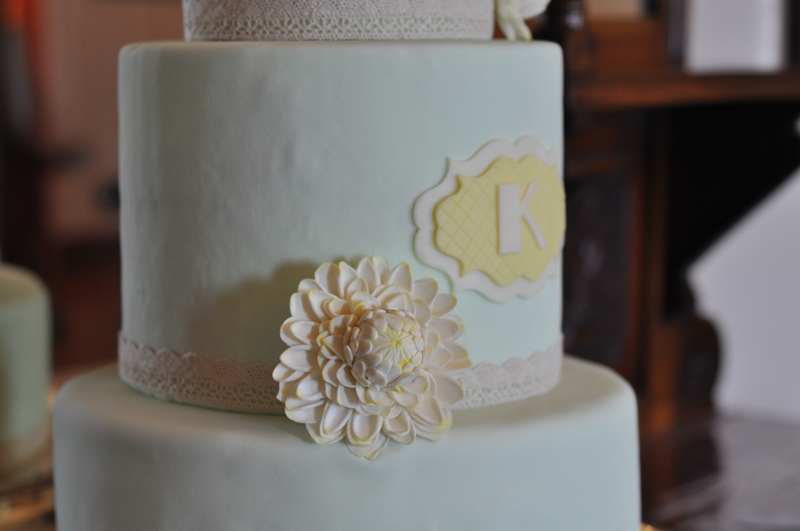 This first cake was so fun to do, I thought the simple clean lines and the color were just gorgeous. 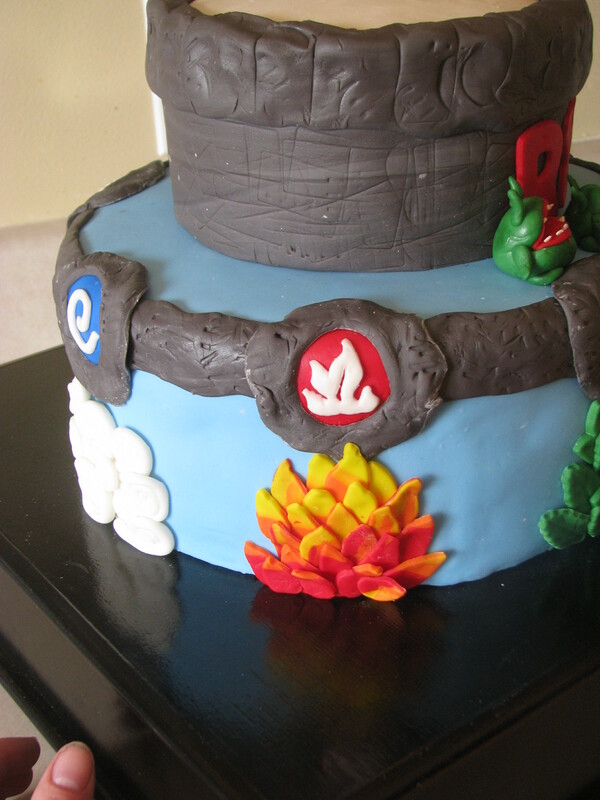 It is always fun to do a cake that appeals to your own design style. The dahlia was made from gum paste and was the element that caused me the most stress, having never done one before. The plaque was made with modeling chocolate, using a technique that my sister in law Veronica taught me this summer. I was also lucky enough to have my brother and family visiting at the time and he graciously took some great photos for me. Thanks Forest! 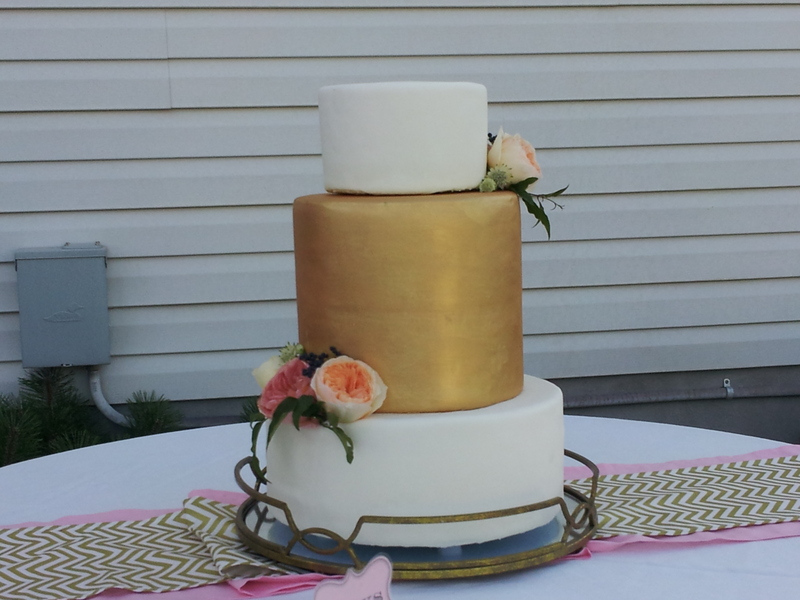 The next cake was done for a sweet and sassy bride that I had the chance to teach at church. It was a joy to be a part of her special day. I loved the design she choose as well. 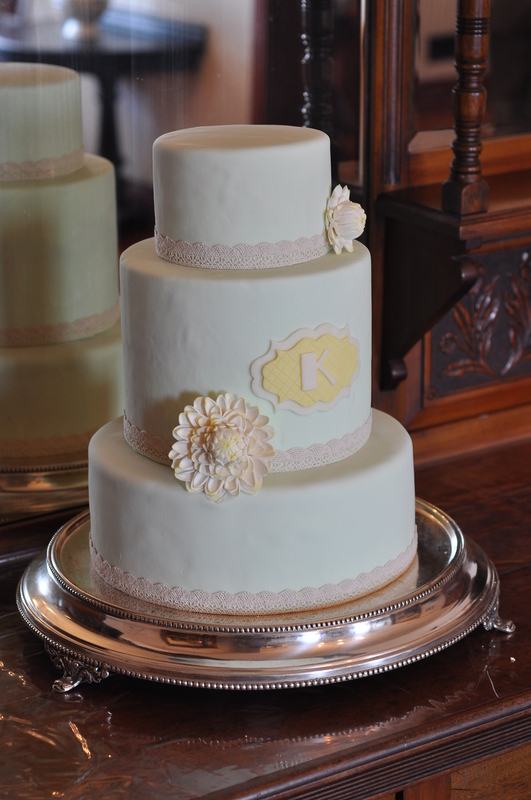 Notice the silhouette, narrow stacked tiers with an extra tall center tier. Love the flowers, her florist did an awesome job. 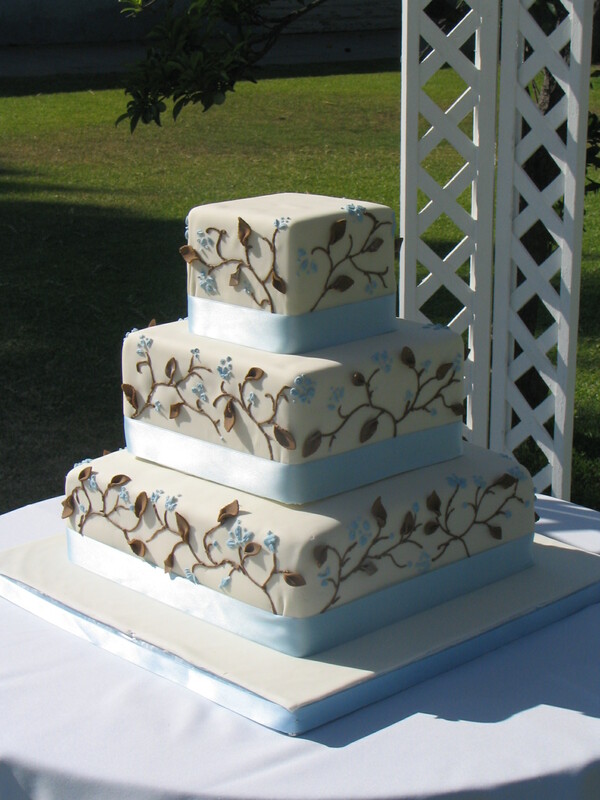 Those extra tall tiers can be tricky to cover, but I love the look. This one was hand painted with gold lustre dust. 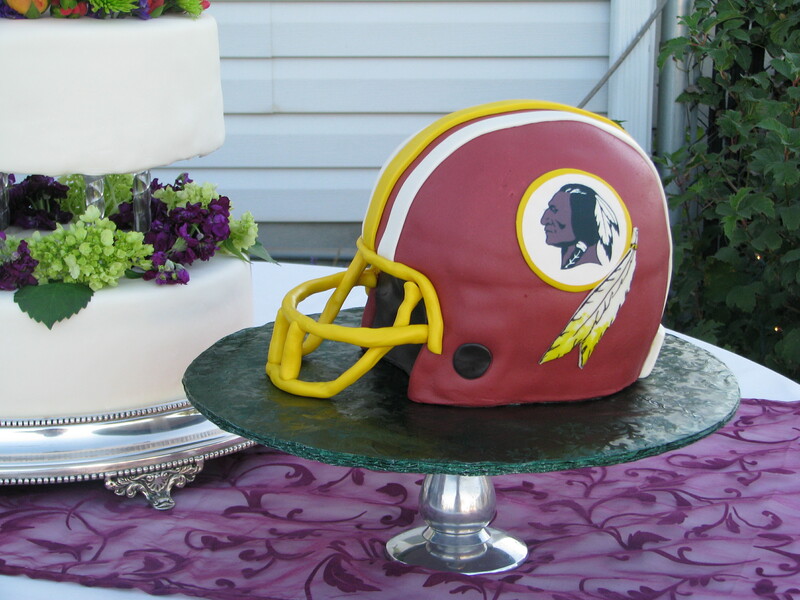 I love seeing the changes come and go, what do you think will be the next big thing in wedding cakes? 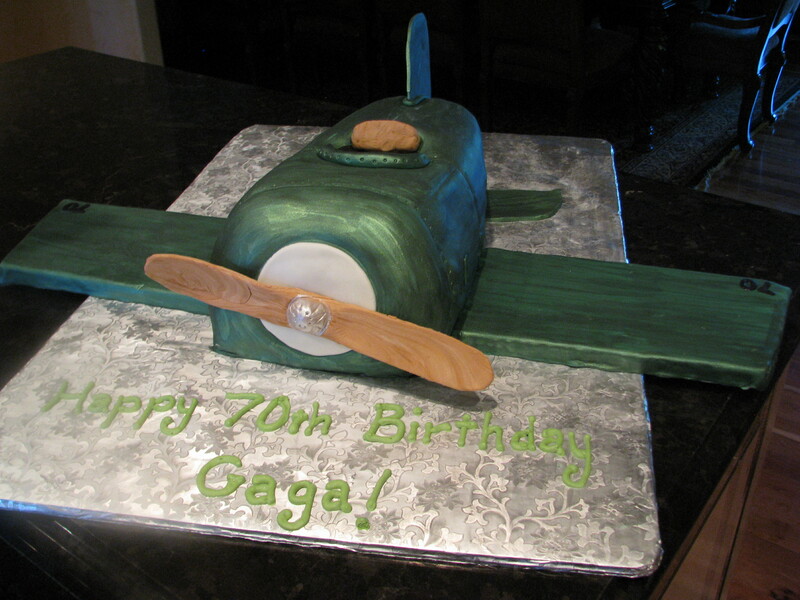 Okay, so I just ripped off Cake Wrecks for that title, but it’s funny, right? 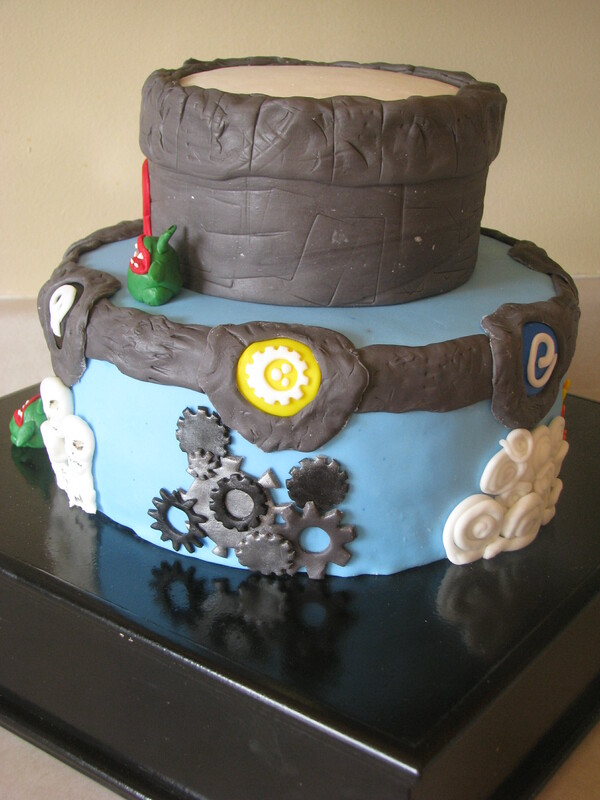 Anyhow, on to the cake…. 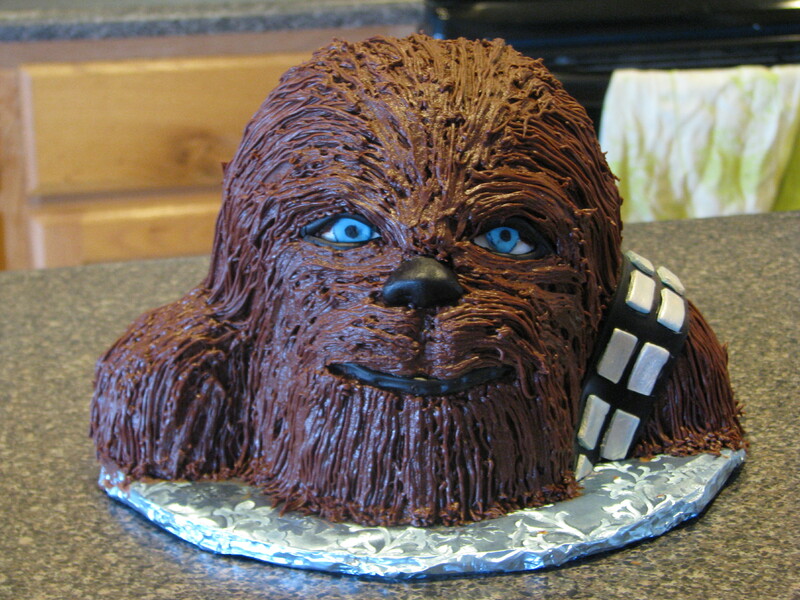 Chewbacca, the big lovable Wookie from Star Wars is seen here in chocolate and more chocolate with a little fondant for the accents. I really wanted to put flowers in his hair (fur?) 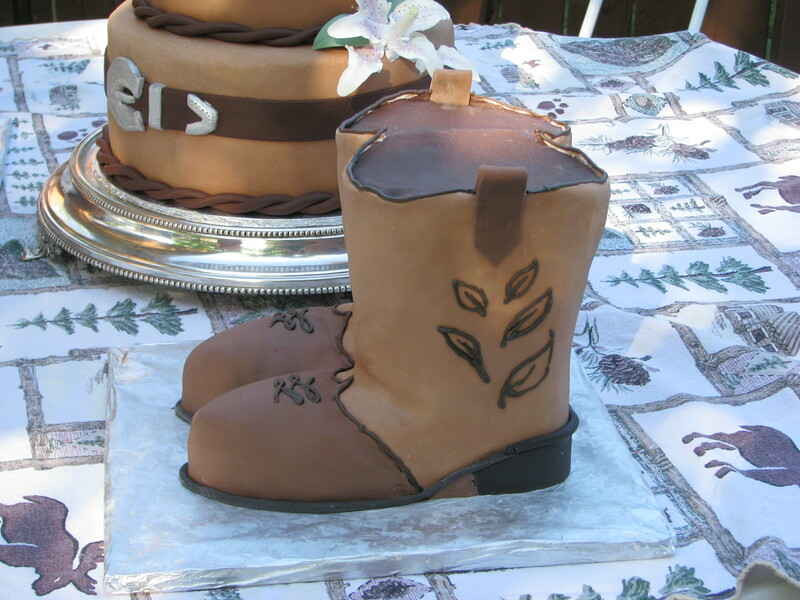 since the cake was for a two year old little girl, but Dave (the Husband) put foot down. I guess it bordered on Star Wars Sacrilege. 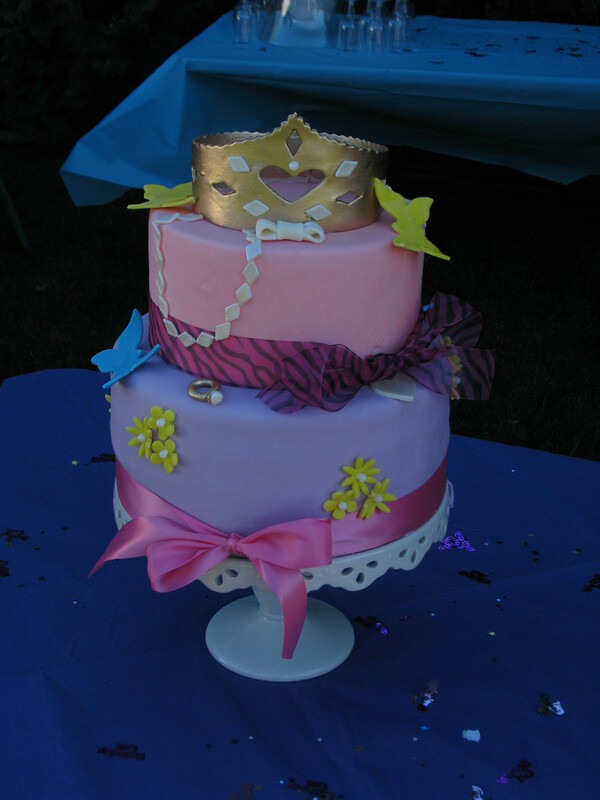 When my cousin asked me to do a Fancy Nancy cake, I said sure, I’d heard of Fancy Nancy. Then I realized that though I had heard of her, I didn’t know anything about her, one of the downside of having all boys. My eldest son and I were invited to the party, and although I did not dress up, Owen had a blast with a fake mustache, crown and most importantly a sword. The little girls got decked out in princess dress, feather boas, and all kinds of other finery. It was an adorable party! 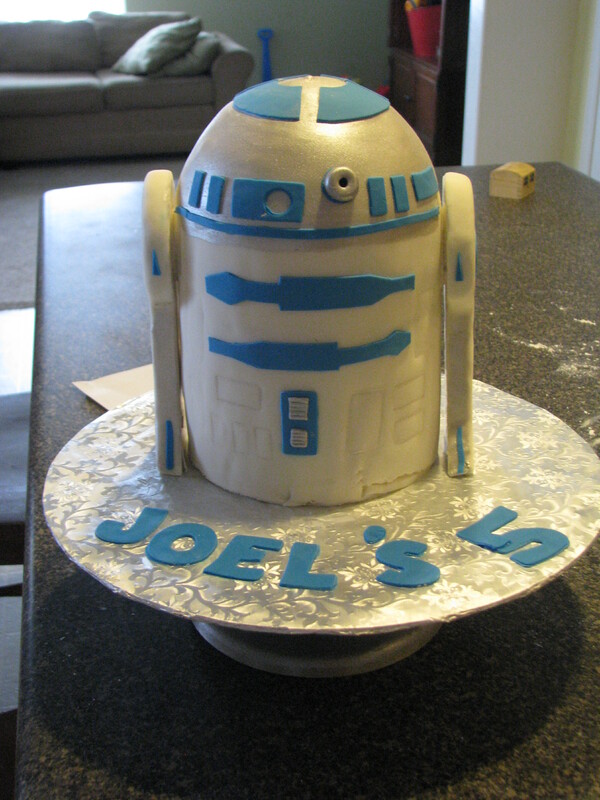 This cake was kid friendly vanilla cake with raspberry jam and traditional butter cream. My friend commissioned this cake for her husband, who is a big Lions fan. 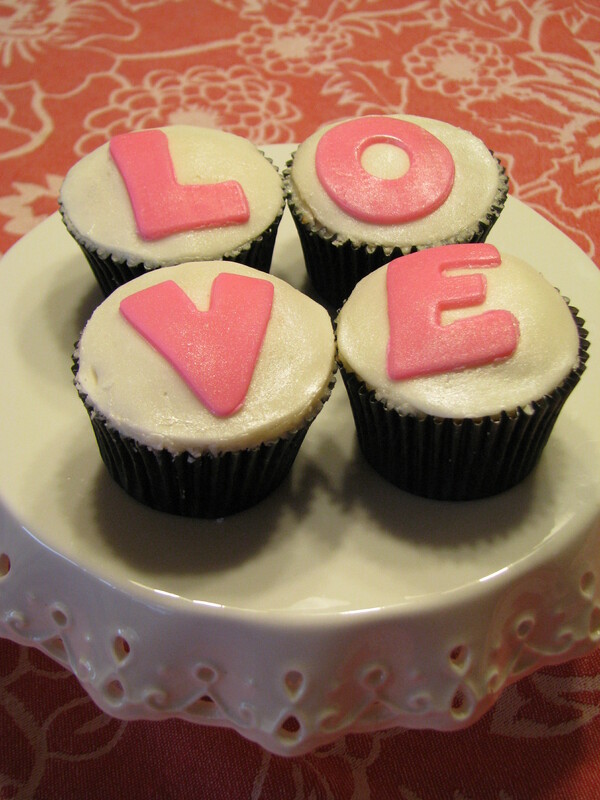 It is carrot cake with swiss meringue cream cheese buttercream, covered in homemade fondant. 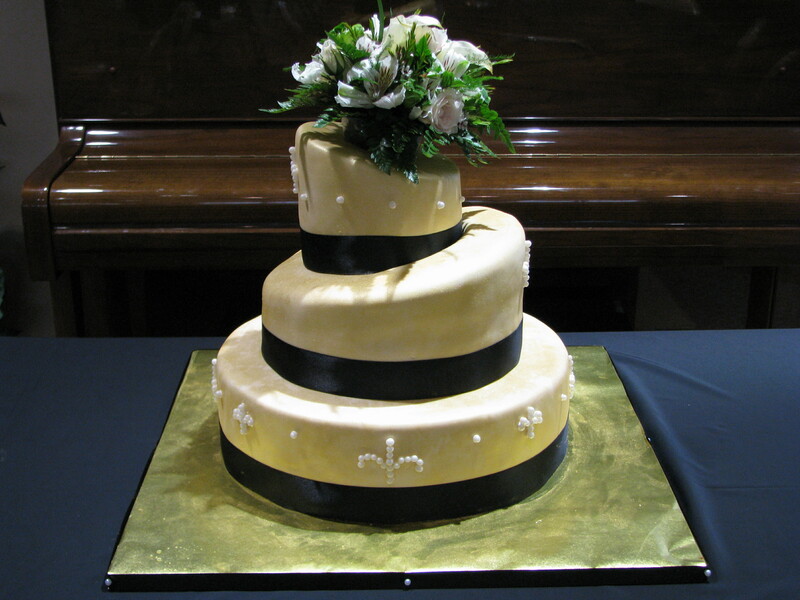 It is hard to tell in this picture, but the entire surface of this cake has a silver shimmer. The bottom layer was devil’s food with fresh raspberries and strawberries. The middle tier is vanilla butter cake with the same fresh berries. 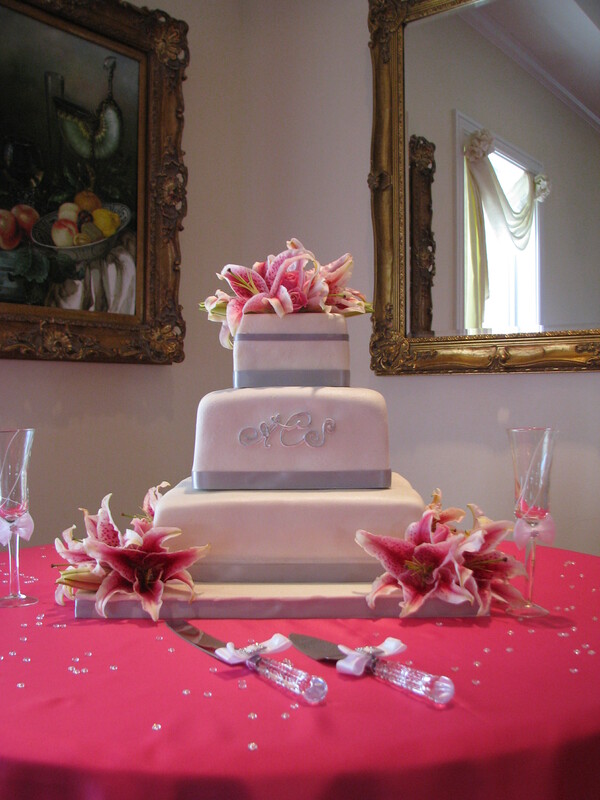 Here is a topsy turvy wedding cake I did recently. It was a nice light carrot cake covered in vanilla buttercream and fondant. 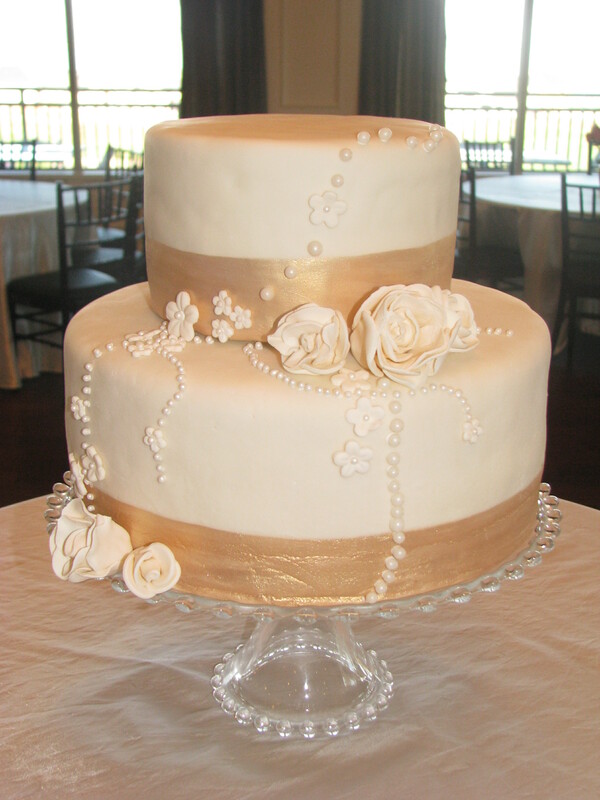 The pearls you see are edible and the entire cake was covered in gold luster dust. Finished off with a black ribbon and a floral cake topper.